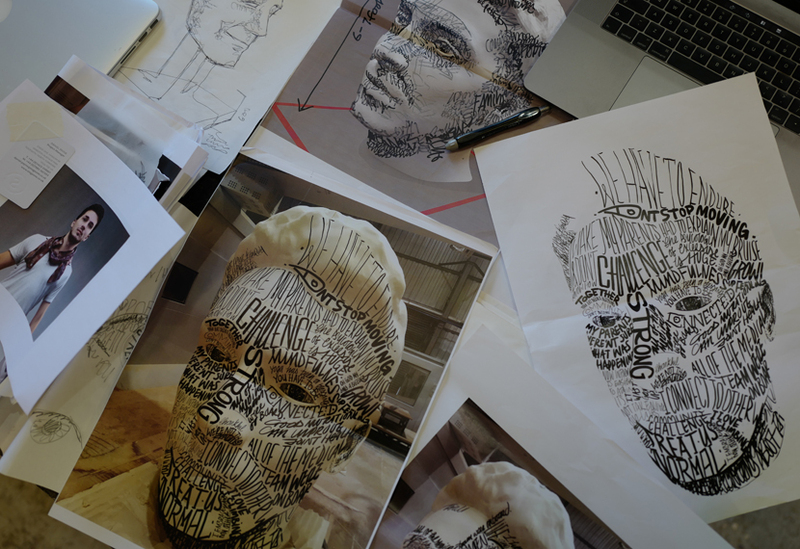 Concept development is one aspect of our work that can be particularly interesting. 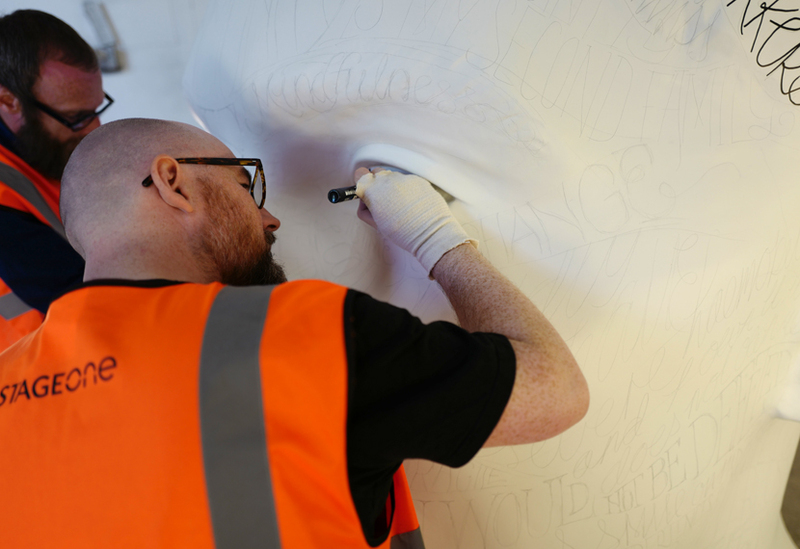 Investigating a range of designs, methods, materials or treatments provides a rich seam of learning for us as well as our clients. 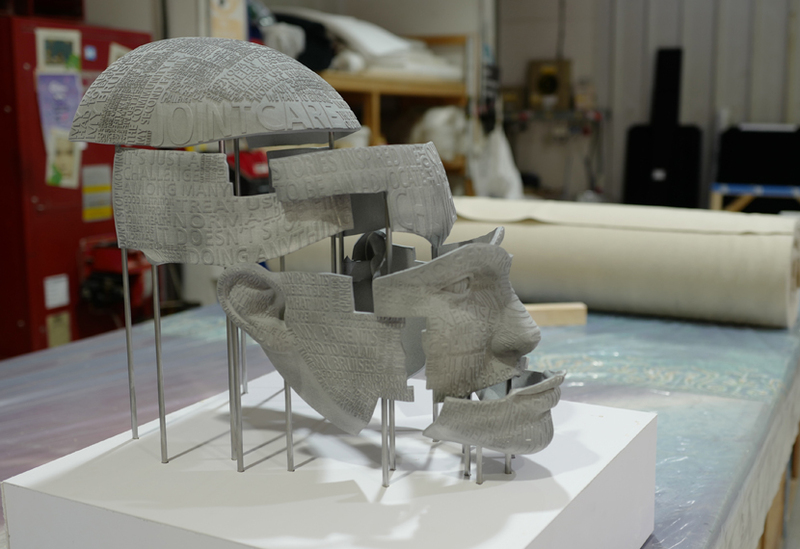 This project saw us work with Havas Lynx to produce a series of models for a large sculpture of a head to feature on a stand at the World Federation of Haemophilia Conference. 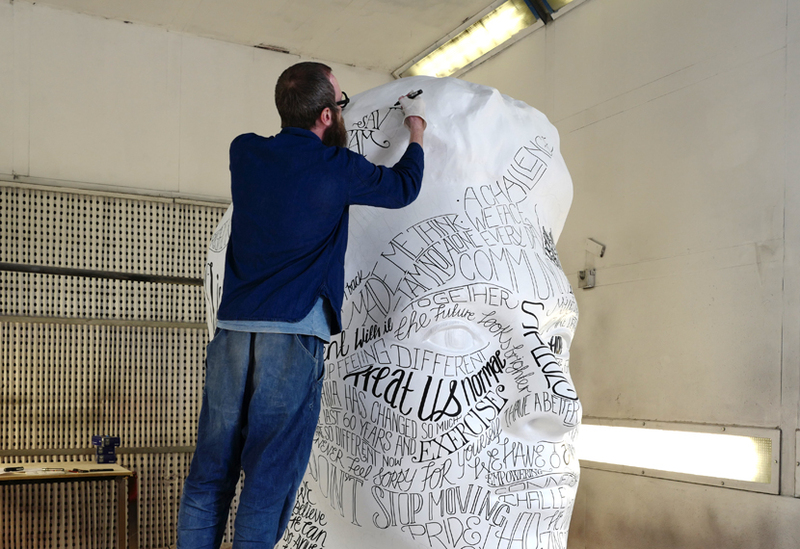 The sculpture was to display quotes and key words from haemophilia sufferers and their families. 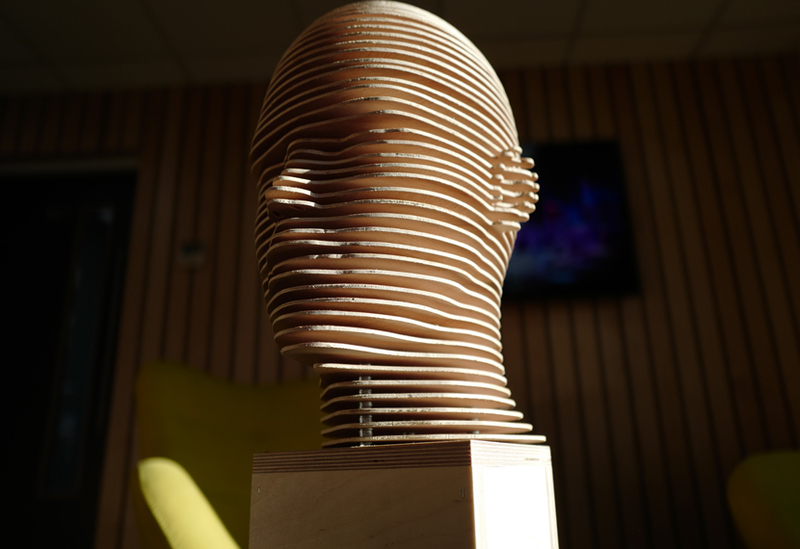 As part of a phased development plan we progressed various ideas including a head comprising thin layers of plywood and a 3D printed parallax design, before the client settled on a final design of a 2.5 metre head of sculpted polystyrene. 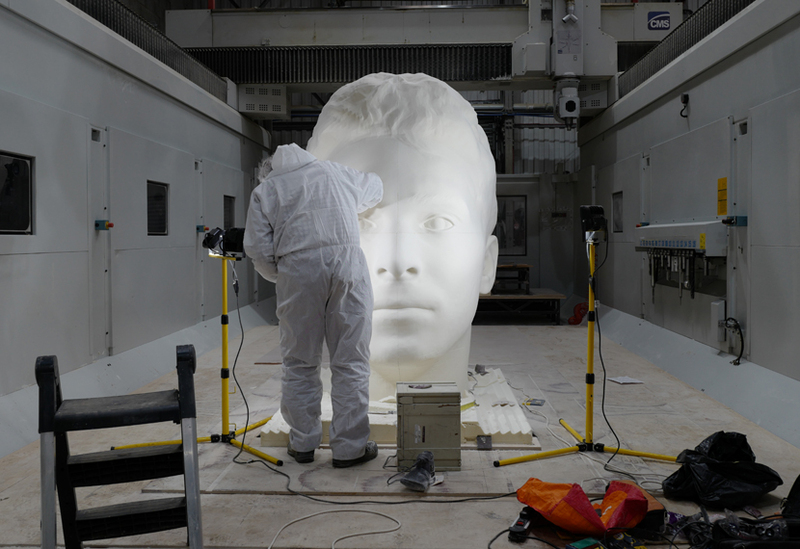 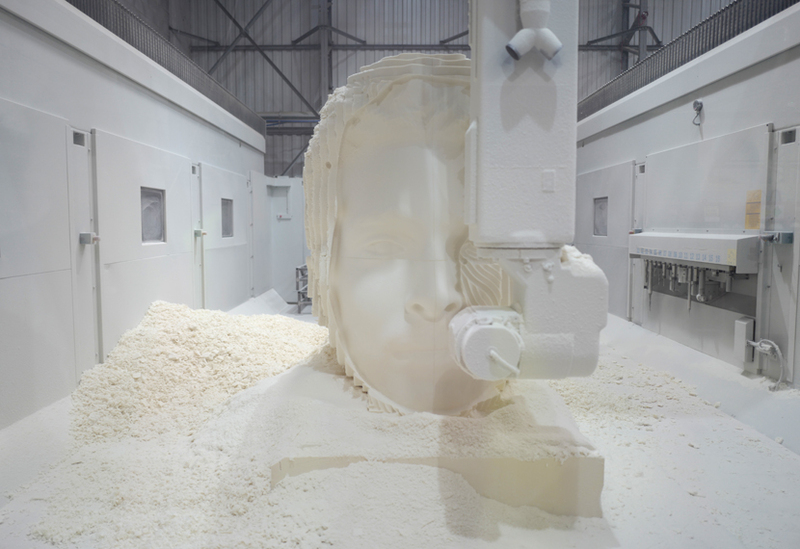 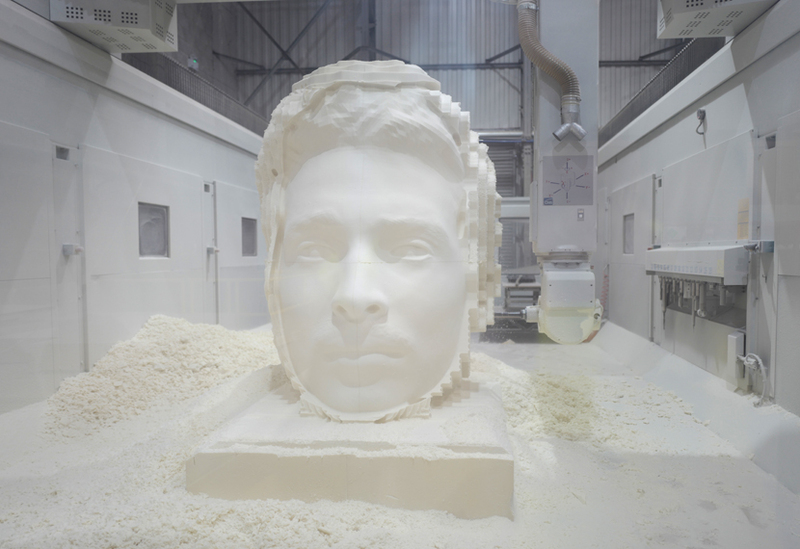 The head was created on our large volume 5 axis CNC machine from four large blocks of high density foam. 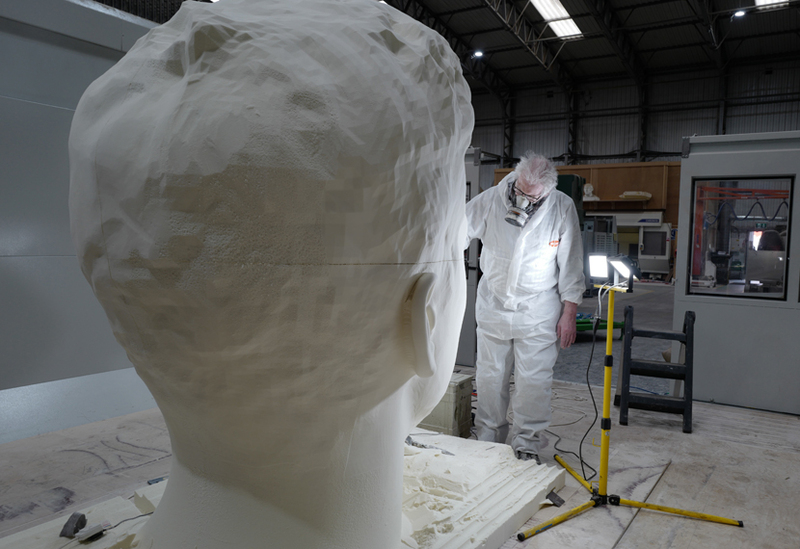 These were bonded together and sculpted in two stages before being coated with fibreglass, epoxy resin and a hardcoat primer. 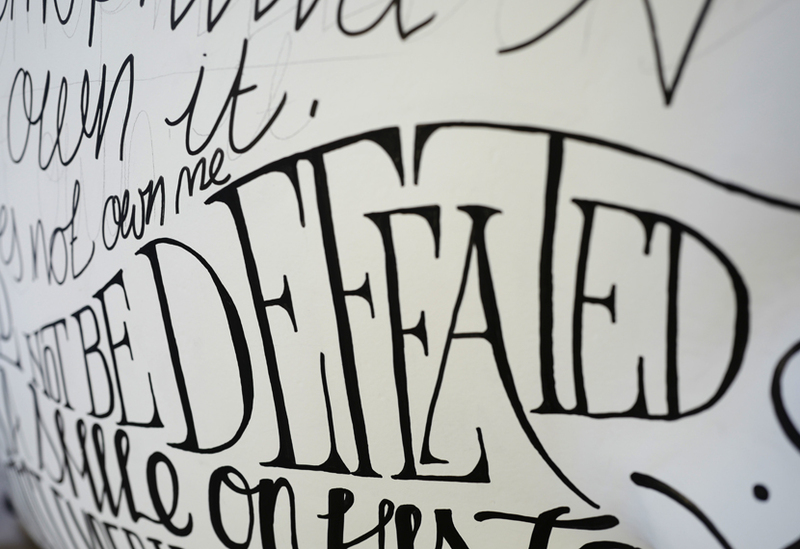 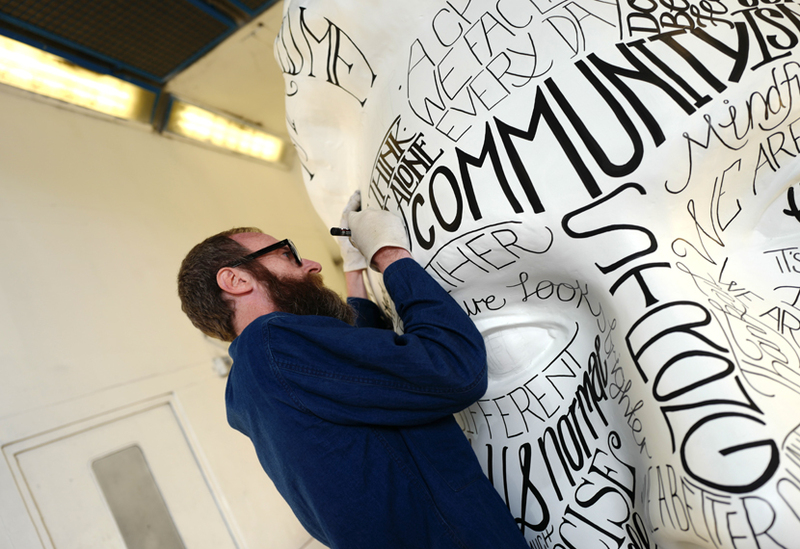 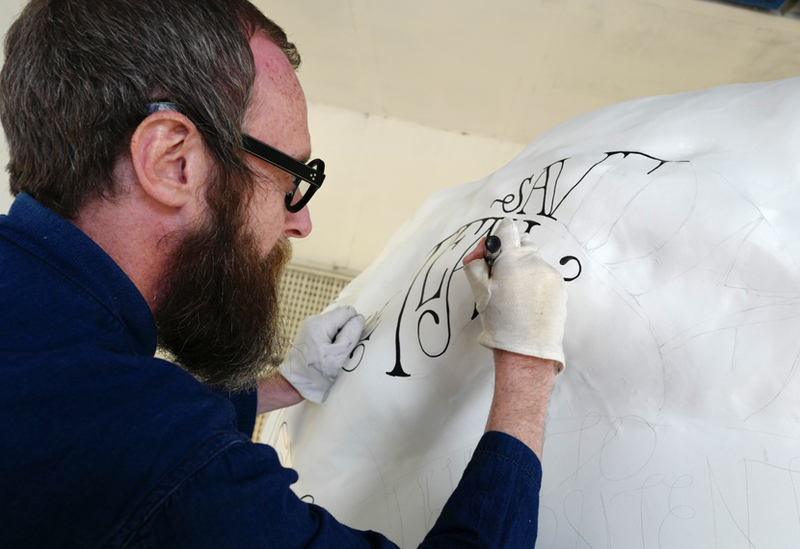 A high-quality matt white spray finish was added before two illustrators commissioned by the client, transcribed quotes directly onto the surface of the head in different fonts and styles.